It was a round table setup where the following attended. The image below tells all for those that plan to be in this business the next 20-30 years. But the single most talked about issue was more regional accessibility for installers to attend technical training like the one in Marietta Georgia; the poster child. I mentioned a focused online referral service like Home Advisor that the NWFA could start. But it wasn't understood. Probably because these folks have been are the traditional mode and rely on the brick and mortar way of doing business. It was mentioned briefly though. 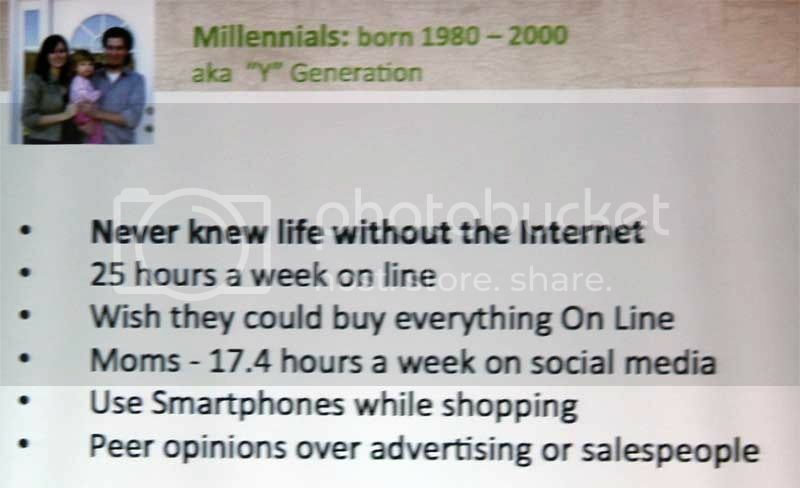 But for those that want to become more independent...watch the millenials. They don't want to go to a retailer, because as Jim said "they don't want to be sold something they don't want." Yep, my kids buy everything online unless they want it now. But they do check prices online and services as well. Yesterday I had meetings with Houzz and Yodle. They seems to have a good presentation but promises promises promises. Yodle's presentation kinda was to much video presentation with customer testimonials and a little high pressure to immediately sign up. Houzz was like think about it we'll get back to ya with some more info in email. I hear that talked about quite a bit. If you do, make it realistic regardless of what they say. They're learning the business too. I saw a report a few years back by a leader in online video stuff and not the no name you mentioned. Don't do staged testimonials. Have someone simply record their own testimonial on their own smart phone in crappy light etc, It was proven to work far better than this joke. Wow that was bad. Reading from a script. Much like the Yodle testimonials and they kept on with the same people through four videos, like seven videos in all. I kept telling the guy "Really, another video? I already know SEO and all that jazz and I dont need to hear your testimonials, just tell me what your charging and what I'm paying for". Kinda pissed me off. Advertising online is a must . It's important to have an interactive website with things like a short video and good navigation of the services you offer like specialized installation or dustless sanding.